New Publications as of December, 2002! Click here for full information. Nessie and the Viking Gold, with Lois Wickstrom. The sequel to Nessie and the Living Stone, accepted for publication by Booksurge. It will be published in January, 2003. Blood Will Tell, novel, a mainstream thriller with a strong supernatural element, available from Awe-Struck E-Books. Winner of the Lord Ruthven Assembly award for best vampire novel of 2001, and the LORRIE for Best Paranormal Romance, 2002. May 23-26, 2003 I will appear on the program and have a table to meet people at MediaWestCon, Lansing, MI. I will appear at the World Science Fiction Convention in Toronto, August 28 - September 1, 2003. To Kiss or To Kill, Sime~Gen romance novel. Scheduled for publication in 2004. 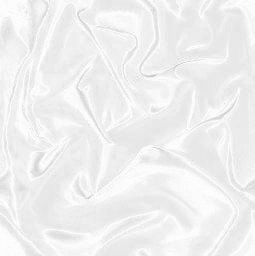 "Reflection of a Dream," Sime~Gen short story, complete. Will appear in one of the Meisha Merlin Sime~Gen volumes, and will be dramatized in the Spring of 2003. "Best of Fools," Sime~Gen short story, complete and available free! Just go to the Kiss of Death/Kiss of Life website to learn how to download it. "The Story Untold," Sime~Gen short story. Will be included in one of the Meisha Merlin Sime~Gen volumes. Special Dispensation (working title) The story of Bru Logan and Reeon ambrov Dar, the inventors of the nageric amplifier. In the research/planning stages. Contracted for publication by Meisha Merlin in 2008. The Colors of Chaos (working title), sf novel, half completed. Voice of the Hawk, mainstream psychological thriller, no sf or supernatural elements; in the research/outline stage. In Love and War (working title), fantasy romance; in the research/outline stage. A children's chapter book. For further information, visit Nessie's Grotto. Or you may listen to an interview with Jean Lorrah about how this book came about. 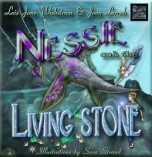 Click here to hear Jean read a scene from Nessie and the Living Stone. The Rooster Under the Table by Lois Wickstrom and Jean Lorrah, a retelling of a traditional folk tale with a new twist. A free e-book, available here as part of the "Read a Good Story, Do a Good Deed" program. "Dracula Meets the New Woman," essay, in The Blood is the Life: Vampires in Literature, edited by Leonard G. Heldreth and Mary Pharr. Bowling Green University Popular Press, 1999. Available from Amazon.com. The Vulcan Academy Murders, a Classic Star Trek novel originally published by Pocket Books, now available as an e-book. The I.D.I.C. Epidemic, a Classic Star Trek novel originally published by Pocket Books, now available as an e-book. Survivors , a Star Trek: the Next Generation novel originally published by Pocket Books, now available as an e-book. Metamorphosis, a Star Trek: the Next Generation novel from Pocket Books. Sime~Gen: The Unity Trilogy. Consists of House of Zeor, Ambrov Keon, and Zelerod's Doom. Available from Meisha Merlin in July, 2003. Preorder here. Savage Empire. The first three Savage Empire novels will be reprinted by BenBella Books sometime in the winter of 2003-2004. For information on obtaining any of the books or stories below, send an e-mail message. Savage Empire, reprint of the first novel in the Savage Empire series, in Hungarian translation. It is available in a hardcover edition as the main work in an anthology called Vadak es Barbarok from Cherubion of Debrecen, Hungary. Sorry--no English version is available except what you can get from used book sellers.